Boy Meets World: This quintessentially 90s show is cute, funny, warm, and filled with nostalgia. Over the course of seven seasons, the show follows the life of a boy (and his family and friends) as he grows into a young man. Firefly: This space-western is set in the future, when people hop from planet to planet as if traveling to another country. The show tells the story of a band of space-outlaws as they negotiate life after losing a civil war. 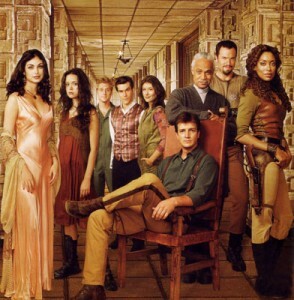 Pulled after it’s first season, the show’s fans campaigned for a movie; Serenity ties up a lot of loose ends from the show. What about you? Have you seen any of these shows? Like ’em? Hate ’em? Let me know in the comments! And if you do like these (or if you don’t ;)), check out these other shows I like!